At club level we had our annual presentation night in July. This gives us an opportunity to review the previous year and celebrate our achievements as a club. We also make official presentations to charities we have supported during the year. It was a good year with the highlights being our charity ball which raised £3,800 for Get Ahead and the success of our Young Ambassador candidate, Liam, who won the district award and who has helped us to find 78 Young Leaders in Service candidates from his college. We also had a good Christmas collection and a great year of social activities. 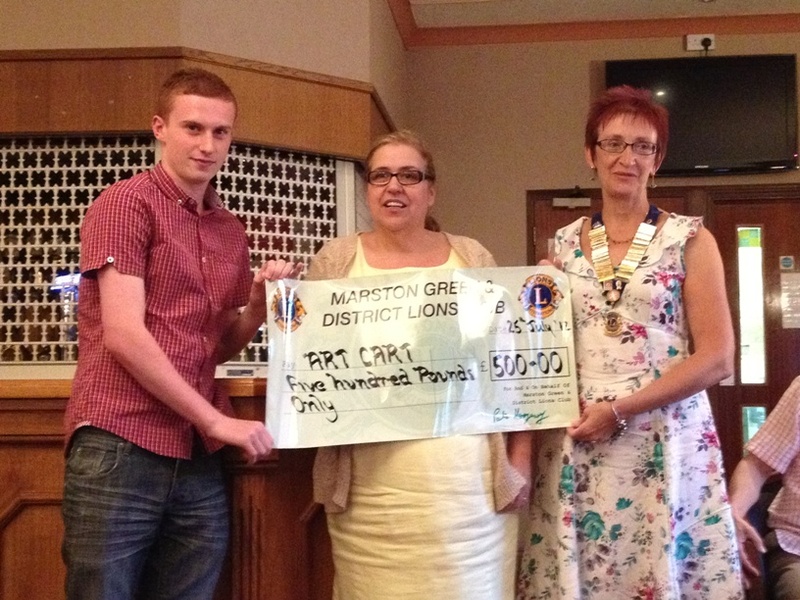 Also at club level we held the first of what we would like to be an annual Fun Day with Marston Green Cricket Club. Although the weather and the cancellation of one of the cricket matches conspired to reduce the footfall we nevertheless made some money on the day and learnt some lessons to take forward to next year’s event. At district level I have chaired the first Finance and Administration meeting of the year, attended meetings of the Long Range Planning and Leadership teams, hosted the first meeting of the District Governor Team (a meal where I provided the starter and main courses, Joy and Ian provided an impossible number of puddings and Paul and Jackie provided the wine), attended the first cabinet meeting of Paul’s year and completed my first official club visit on behalf of the DG. Coming up in the next month will be four more club visits, a zone meeting, a DG Team meeting, a membership team meeting and attendance at Shirley Carnival.